Although the subjects have varied over the years, the rewards of sharing knowledge never cease to give me joy. Thanks to The ARTery, a new arts-focused business that has just opened in Medford village, I am now looking forward to sharing my love of threads. 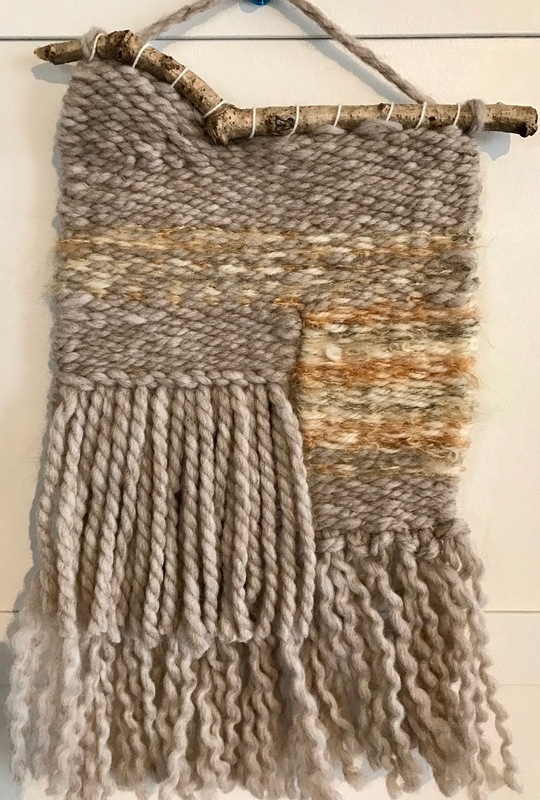 One of my classes will focus on weaving a small wall hanging. 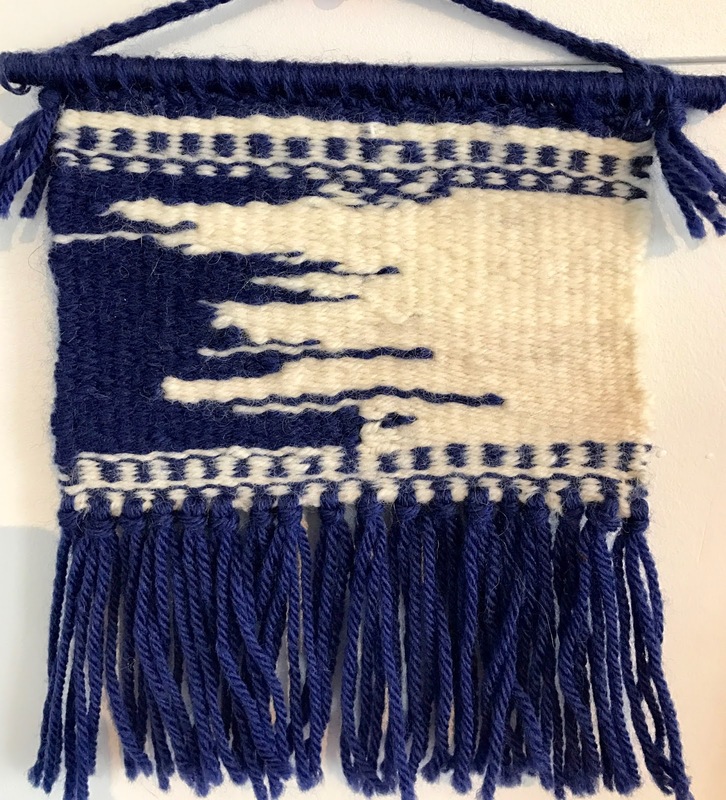 Participants will learn basic tapestry techniques and leave with a unique 'wall art' ready to hang. The classes, which are project-oriented, target those with interest, but with little to no knowledge or experience. As it's a near certainty that prospective students don't have equipment, the challenge is to get people interested with an inexpensive cost of entry. 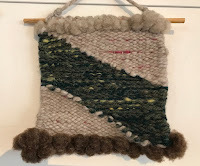 In this case, the goal was to find an inexpensive table/lap loom. And The ARTery owner, Karen Walker, did just that! But before I taught with it, I wanted to work with it--find what it would do and what are its limitations. I ordered one from Target. And play, I did. I had a ball! My goal was to develop projects that were easy to do and could be completed in two sessions--but varied enough to give people ideas. 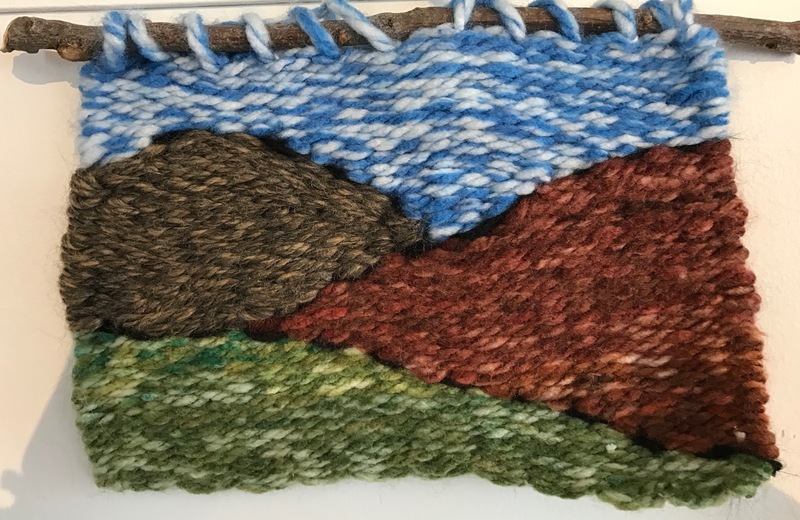 The yarns had to be forgiving and the techniques restricted to just a few simple processes. 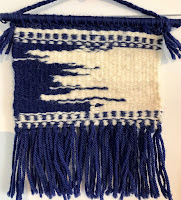 In addition to tabby, I wove examples with interlocking dovetail joins, kilim slits, rya knots, shaping and fringes. The ARTery's grand opening is Saturday. The weavings are there now and I do look forward to teaching there!